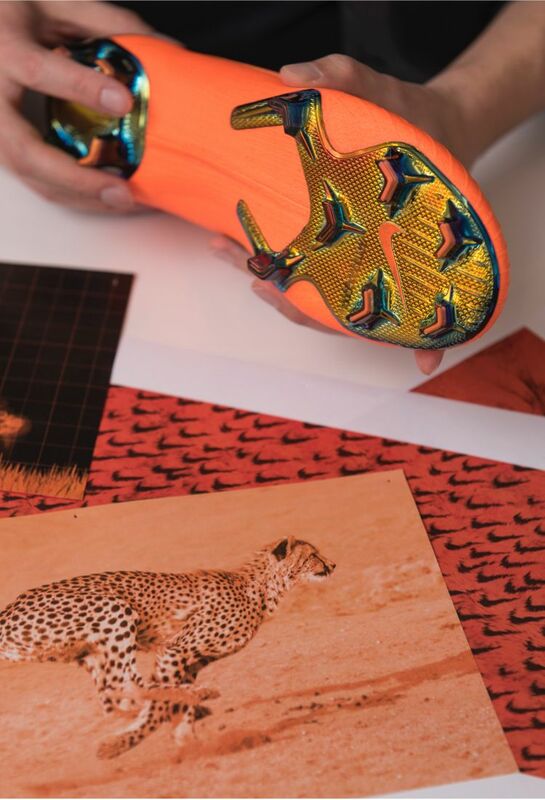 To inspire the latest addition to the speed-obsessed Mercurial line, Senior Footwear Design Director Jeongwoo Lee looked to the fastest animal on earth: the cheetah. Using the animal's biology and movement as insight, Lee and his team set out to unleash players' maximum speed. "When you see a cheetah chasing its prey, its foot moves in every direction", explains Lee. "Players like Ronaldo and Mbappé attack from every direction". 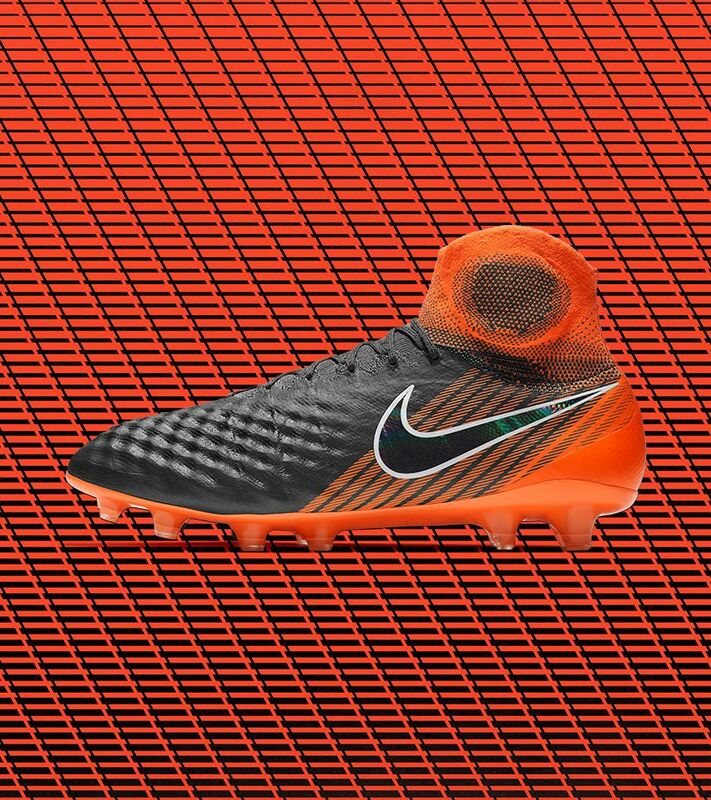 In order to give the fastest players in the world the edge, Lee's design features breakthrough Flyknit technology that wraps the entire foot for a second-skin fit that allows players to change direction without slipping. 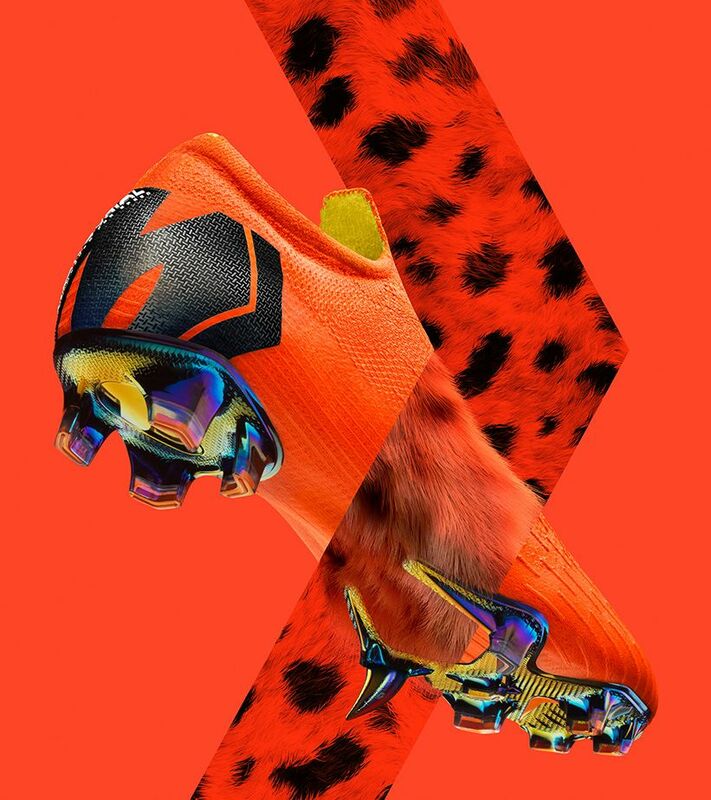 "The cheetah is an immediate expression of speed, and our players are some of the quickest in the world". "We've looked at how cheetahs move in slow motion and the way their power transfers from the shoulder to the elbow to the paw", says Lee. 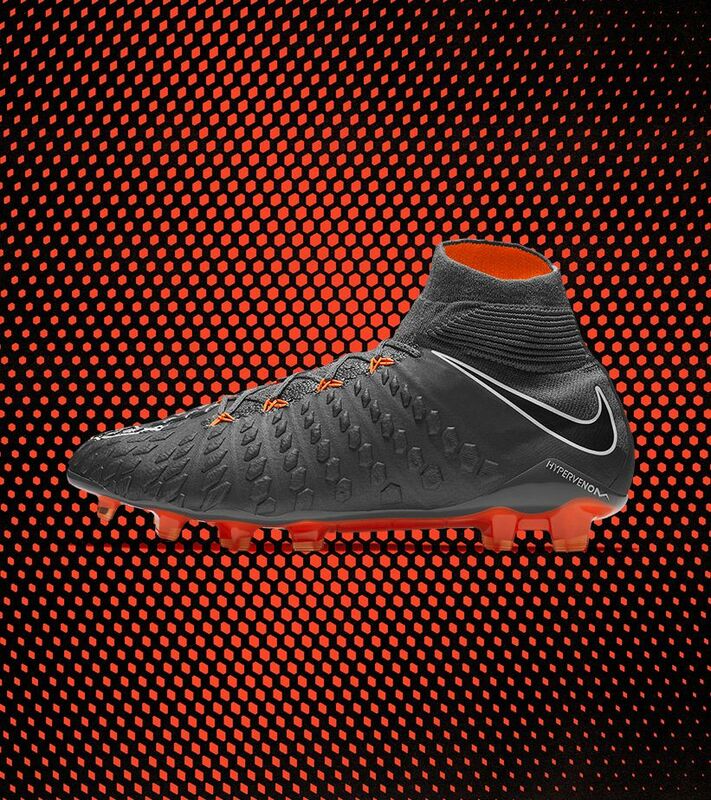 To tap into that efficiency, Lee's Flyknit design placed traction only where it was needed, for explosive acceleration and flexibility. 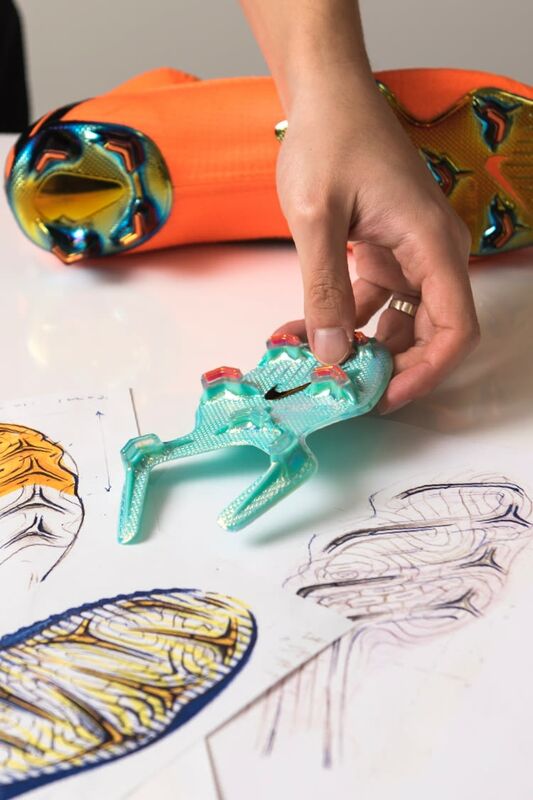 "That's why we call out these four studs in the forefoot—they're the ones that are going to give you that extra grip in the final moment of toe-off". All the innovations in the world don't mean anything if they can't perform in all conditions. "Traditionally we applied an ACC, all-condition control, coating on a skin and we would fuse the whole skin piece onto an upper", says Lee. "But now, the innovation is around the yarn itself". The result is the same control without the added layering, bringing the foot closer to the ball. 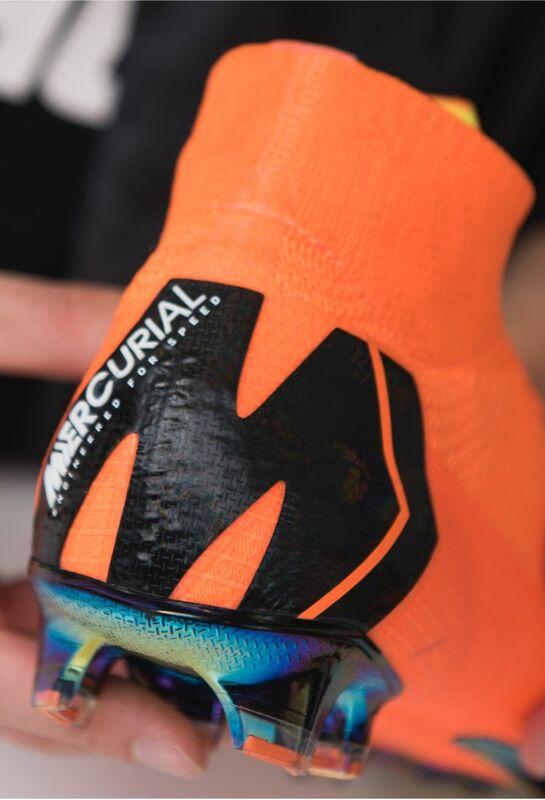 In the same way that bright colours indicate aggression in the animal kingdom, the Mercurial 360's look warns opponents of what's to come. 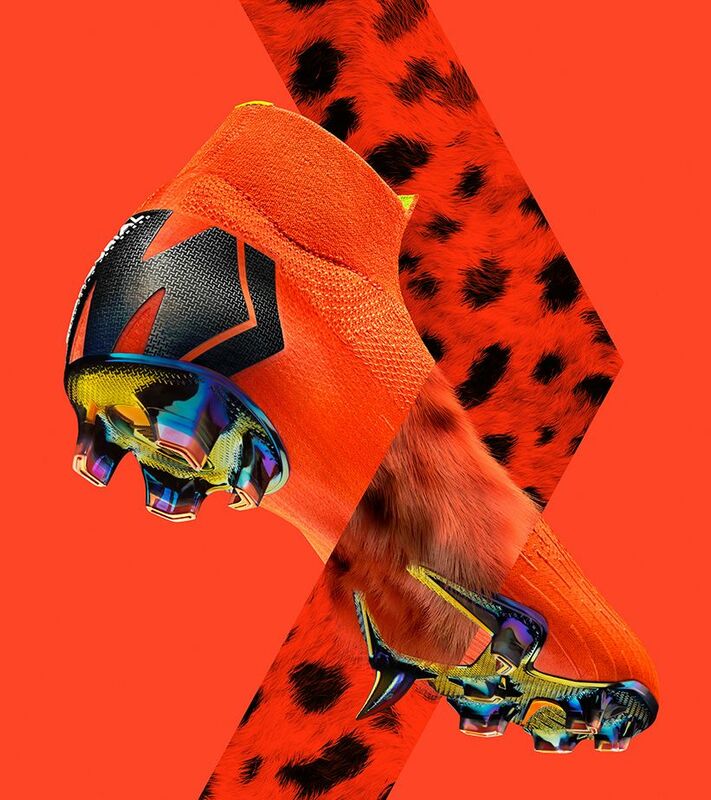 "The cheetah is an immediate expression of speed", says Lee. "We wanted the shoe to fit that aura". 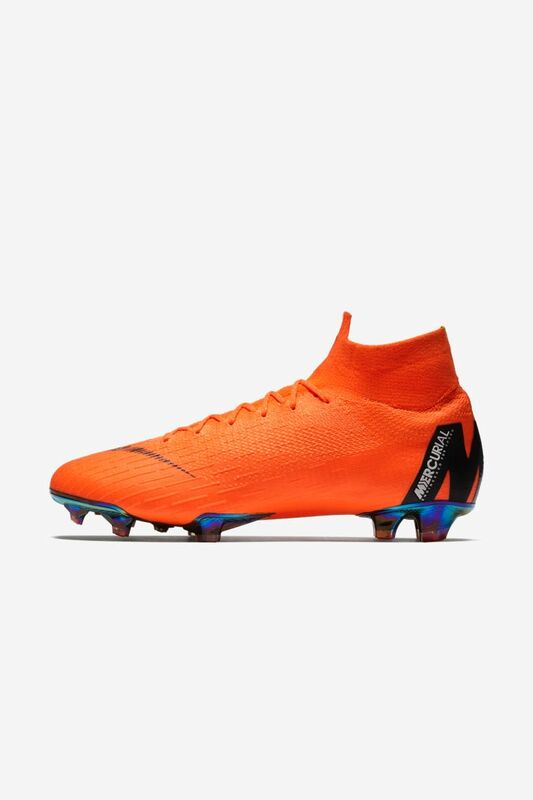 Bright colours, fluorescent footplates and dominant logos give the boot a fierce attitude. "The Nike Swoosh will be the first thing a defender sees", laughs Lee. 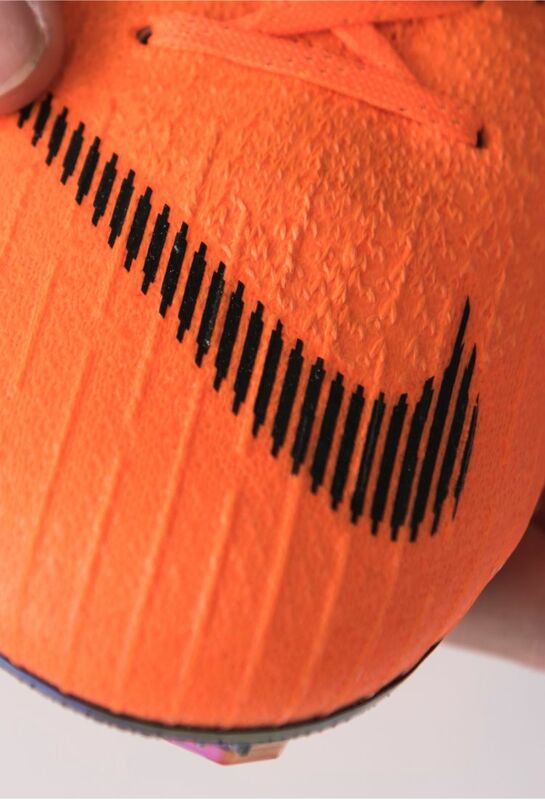 "And the Mercurial logo will be the last thing a defender will see as the player blows past them".